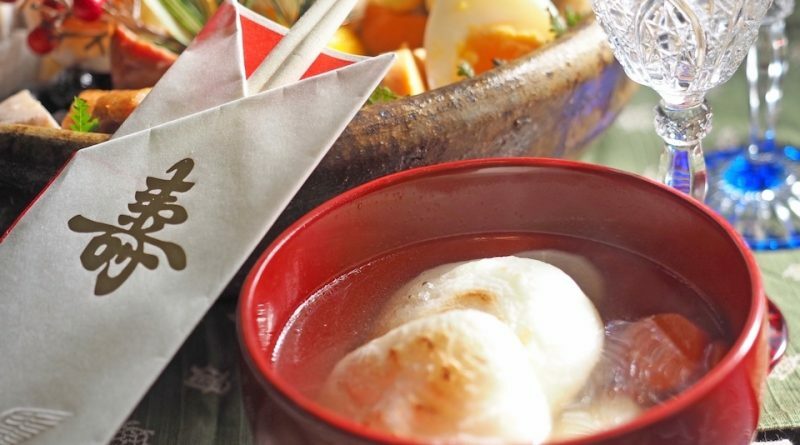 Japanese traditional New Year’s dish “Zouni” is rice cake soup. Rice cake shape, dashi soup and ingredients are different depending on the area, and there are abundant variety of Zouni in Japan. 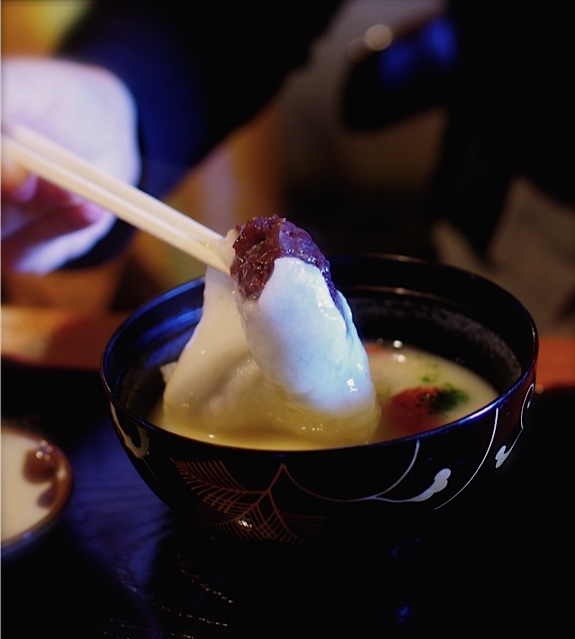 Among all Zouni in Japan, Kagawa’s one is outstanding as it is An-Mochi Zouni, the soup of rice cake stuffed with red beans. 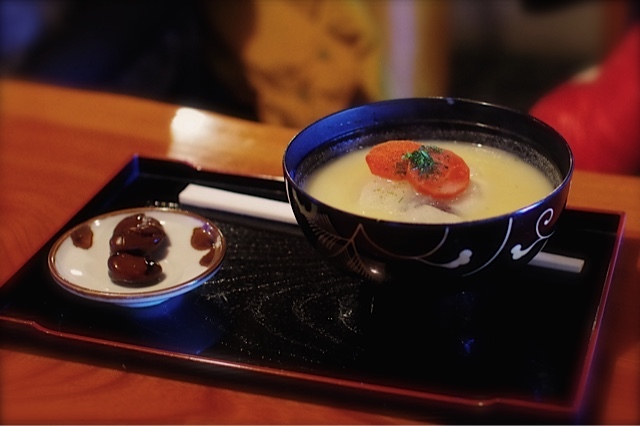 An-Mochi Zouni was created in Sanuki area (former name of Kagaw) at the end of Edo period. Takamatsu Domain encouraged sugar cane cultivation taking advantage of its warm climate, and the technology succeeded to produce sugar. 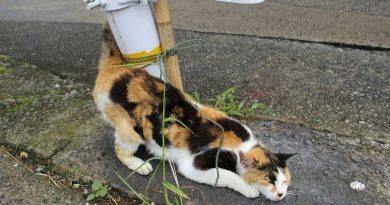 This became one of specialities in Takamatsu, famous as “Wa san bon”and its technology has been inherited. Back in those days sugar was Takamatsu Domain’s important income sourse, even sugar cane farmers were not allowed to easily eat them under the domain’s strict regulations. People wished to have the sugar at least on the New Year’s, they made Anko (sweatened beans) and put it in Mochi (rice cake) to eat sugar as they hesitated to have it openly. Shiro Miso (white miso), which is also important ingredient of An-Mochi Zouni, was also valuable food, so this dish was so luxury. Various ingredients are in An-Mochi Zouni besides An-Mochi and Shiro Miso. Round-sliced carrots and Japanese raddish, meaning family happiness, and depending on the area, taro, burdock root, deep-fried tofu and green onion are added. Green dried seaweed and dried bonito complete it. An-Mochi Zouni is the special dish for New Year’s, though there are 2 tea houses in Takamatsu where serve this menu all year. It is very much recommended dish which tastes sweet, salty, and rich. 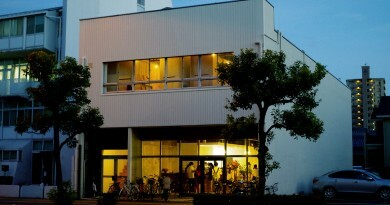 Access: 4 Minutes-walk from Kotoden Kataharamachi St.
Access: Get on Yashima Sancho Shuttle Bus at JR Yashima St. or Kotoden Yashima St., get off at Yashima Sancho and 5 minutes-walk towards New Yashima Aquarium. One of Japanese major cutoms for New Year’s eve is to have year-crossing Soba needle, though peope in Kagawa prefecture have not only this noodle but New Year’s Udon. New Year’s Udon started 2009 by Udon Promotion Association for cunsumption rise, and it gave food industry a new source of earnings and economic effect. Sanuki Udon originally has been known as lucky food praying for long life. This New Year’s Udon has red colored foods such as pickled ume, Japanese red kintoki carrots tenpura, red boiled fish paste on white udon. Udon Promotion Association suggests people to have this menu during January 1st to 15th for celebrate New Year and pray for the happiness. Lots of Udon restaurants cooperate to make this menu as a custom, they create new menus of udon with red colored foods and serve during limited time. In addition to it, “Donbei”, the famouse cup noodle by Nisshin started selling “Donbei New Year’s Udon” in 2009. This pot noodle contains pickled ume, yam kelp and boiled fish paste. If you have opportunity to travel Kagawa prefecture during New Years’, how about visiting udon restaurants below to see and eat New Year’s Udon. In Kanonji city, the western part of Kagawa, you could have udon with An-Mochi. Honba Kanakuma Mochi Fukuda, in business for a hundred, usually serves udon with soy sauce base and Mochi or An-Mochi . And during New Year’s, they serve Shiro Miso An-Mochi Zouni Udon. If you do not mind the soup taste, An-Mochi Udon is served at Konpira Udon Sandou branch in Kotohira, Sanuki Mengyou Hyougo Machi and Airport branch. At Sanuki Mengyou, “Kaname’s Healthy New Year’s Udon” is served. 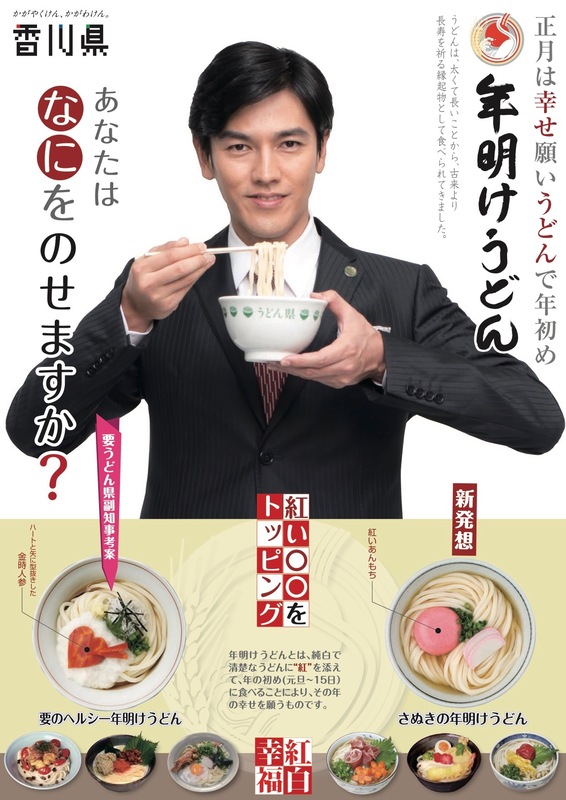 This menu is made by Mr. Jun Kaname, who is an actor from Kagawa prefecture and know as “Udon Prefecture’s vice-governor. This is also the menu during limited time. Please check it.